Since the 16th century, doctors have reported cases of people who cry blood. Some once considered haemolacria—an extremely rare disorder that causes tears that are partially or entirely made of blood—something akin to stigmata, but doctors now have a bit of a better understanding of why some shed bloody tears. Yet, in many cases it remains a mystery. Here are a few things we know. Modern science backs this idea up: According to a 1991 study of 125 healthy subjects, menstruation contributes to occult haemolacria, or traces of blood in tears. The paper found that 18 percent of fertile women have some blood in their tears, while only 7 percent of pregnant women, 8 percent of men, and no post-menopausal women show signs of bloody tears. The scientists concluded that "Occult haemolacria in fertile women thus seems to be induced by hormones, whereas haemolacria most often is provoked by local factors (bacterial conjunctivitis, environmental damage, injuries)." Within the past five years, there have been two notable cases of haemolacria: Calvino Inman and Michael Spann. Both live in Tennessee, and doctors have been unable to discover a reason why either weeps blood. When Inman, who lives in Rockwood, was 15, he stepped out of the shower and noticed red tears covering his face; he thought he was dying. Spann, from Antioch, was walking down the stairs when he experienced a crippling headache and noticed bloody tears. While suddenly crying bloody tears will understandably cause panic, haemolacria is generally not life threatening. But it can be debilitating: Spann says he has been fired after employers noticed blood running down his face and has since become a recluse. 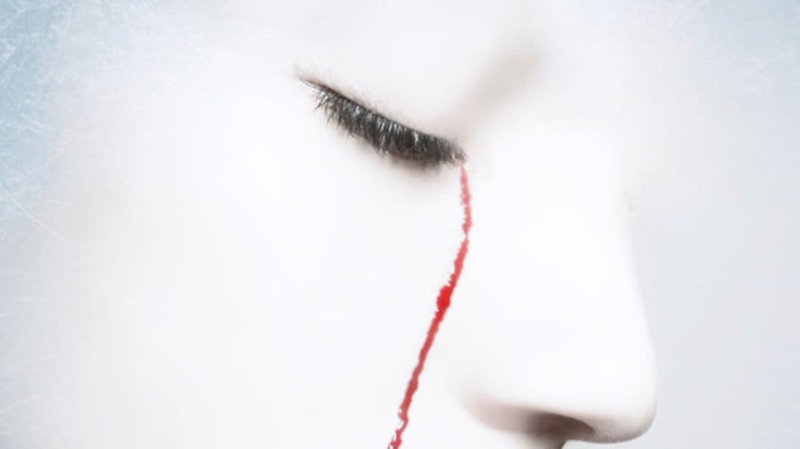 Dr. Barrett G. Haik, director of the University of Tennessee's Hamilton Eye Institute, studied cases of unexplained and spontaneous episodes of bloody tears. His report, which was published in 2004 in the journal Ophthalmic Plastic & Reconstructive Surgery, determined that from 1992 to 2003, there were only four cases of spontaneous haemolacria without a medical cause—and two of the known cases that occurred since that study happened in Tennessee. "What's really rare is to have a child like this," Haik told CNN in 2009, when Inman's case first came to light. "Only once every several years do you see someone with no obvious cause." People living in other places have experienced haemolacria, too. This year, 20-year-old Yaritza Oliva, who lives in Chile, began crying blood, and doctors have ruled out any likely causes, such as conjunctivitis or blood clots. And there are reports that Indian teen Twinkle Dwivedi allegedly cries bloody tears, but many attribute her ailment to Munchausen syndrome. In March, a Canadian man was walking on the beach when a poisonous snake bit him, causing him to weep bloody tears and experience painful swelling and kidney failure. Doctors attributed this to the massive amounts of internal bleeding caused by the snake's venom. In most cases of haemolacria, a head injury, tumor, blood clot, a tear in the tear duct, or a common infection, such as conjunctivitis, causes the bloody tears. When patients cry tears, doctors look for tumors, conjunctivitis, or tears in the tear ducts. Fleming told WTSP that Spann's haemolacria "probably [has] a cause, but it is a small tear duct that is only a millimeter or two or three in diameter. It's a tube. To get into that tube and examine that tube from one end to the other would cause scarring, and you could lose part of the tear duct."